All students at the Latin American School of Medicine are highly advised to participate in the yearly Scientific Journal competition. This is a country wide competition open to all university students. Our advisors for our journal articles are our professors or other faculty members. These professors have fervor for what they do. Most of them are teaching from 8 to 12 class sessions every week, often times in multiple subjects. They themselves are required to publish written reviews or investigations every year. Then work with us on our stuff. And grade tests and papers. And on top of that manage their department. There is no secretary at the front desk of the department, in fact, there is no front desk. I’m about to get off track talking about how different the professor culture is in Cuba from the U.S. I need to get back to the journals, but I’m going to revisit this area soon, I promise. So, the Scientific Journal. In reality it seems that most students do not participate. And those that do participate usually write at least 2 or 3 articles for different journals depending on time and research resources available. Research in Cuba is very different. Our library is scant on books, however it is easy enough to go to Havana and buy books if we need them. The most expensive book in the country is not going to cost more than 30 pesos…about $1.25. 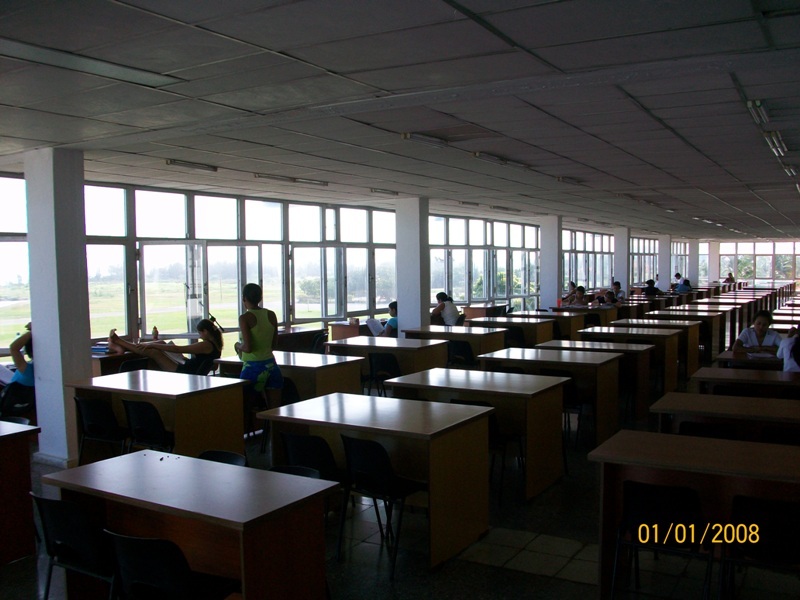 However, what Cuba does have is an extensive country wide electronic library. Books, journal articles, thesis, everything. All available for free PDF format download. So for the articles I am writing I’ve been pouring over a lot stuff written in Cuba. And I have stumbled upon something most interesting. Cuban research, no matter what subject, rarely talks about demographics. There is no talk of upper income levels and the lowest standard deviation of income, there is no talk of black, white, asian, or other. Very little racial demographic data is to be found anywhere. As a social science major from a United States university this is downright bewildering. I mean, these are the first distinguishing marks we are told to use to differentiate our sample. And here I am in Cuba and no one really gives a flip about how many people were black that got sick and how many people were white. What the Cubans care about is that people got sick. Where are they from? What made them sick? How do they live? Sure there are great arguments about why we need to look at groups of people based on their skin color or historic ethnic origin because of genetic predispositions and culture. But most of these arguments are well suited for a half-assed type of medical treatment we have in the U.S. We normally treat people in groups, according to the most common demographic features so we can judge success based on the population rather than the individual. If you don’t buy this why do you think so many individuals fall through the cracks? 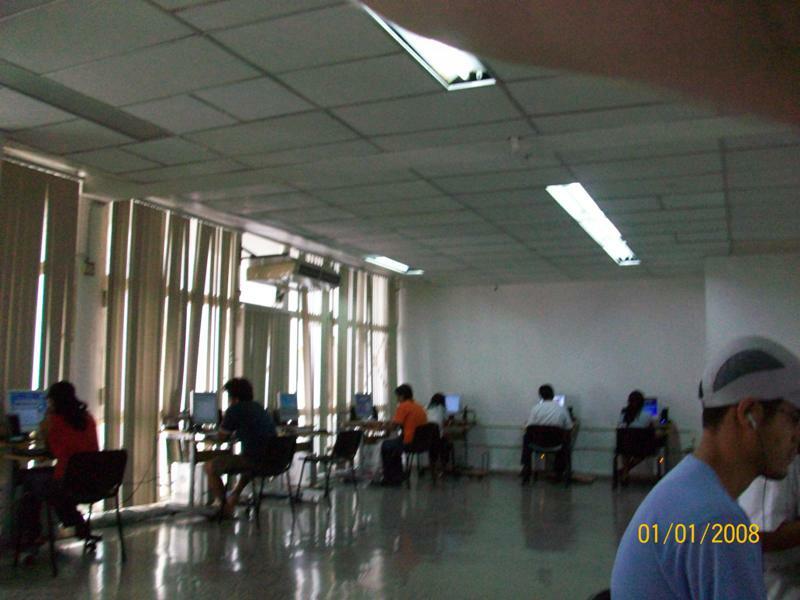 Computer lab. Holy of Holies for those of the WWW clan. Then there is Cuba. Here, people are rarely treated medically as a group. When it comes to treatment, and hell, even prevention, it is an individual on individual basis. There is no room or reason for distinguishing black, white, poor, or rich in this system. Those details don’t matter when you have the will to treat every person as an individual. What matters to the Cubans is how many people they cured and how many they didn’t.